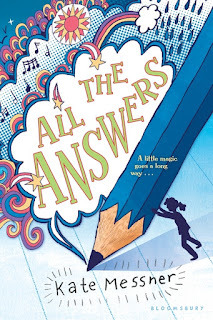 For MMGM, I am recommending All the Answers by Kate Messner. What if your pencil had all the answers? Would you ace every test? Would you know what your teachers were thinking? When Ava Anderson finds a scratched up pencil, she doodles like she would with any other pencil. But when she writes a question in the margin of her math quiz, she hears a clear answer in a voice no one else seems to hear. With the help of her friend Sophie, Ava figures out that the pencil will answer factual questions only--those with definite right or wrong answers--but won't predict the future. Ava and Sophie discover all kinds of uses for the pencil, and Ava's confidence grows with each answer. But it's getting shorter with every sharpening, and when the pencil reveals a scary truth about Ava's family, she realizes that sometimes the bravest people are the ones who live without all the answers . . . This book has become one of my all-time favorites. I love the premise, the characters, and the fun (and horrible) revelations, but most of all, I love this book's depiction of anxiety. As someone who has anxiety, I can relate to how the main character, Ava, often worries, whether about her family or her safety on a particularly nerve-wracking school field trip. Ava's worries and how she is sometimes trapped in them, nearing full-blown panic, or overcoming them, finally convincing herself to do things, is so realistic that it seems just like a vivid memory. I love how Ava's relationship with the pencil is both good, allowing Ava to help others, such as at her grandfather's nursing home, and bad, allowing Ava to answer her worries, some of which are true, making her worry more in anticipation and dread. Finally, I love how this book manages many complex topics, as well as many smaller ones, to create an incredibly realistic depiction of life and of a person with anxiety. (Even despite the magic pencil!) This book is amazingly written and so enjoyable to read, whether through the true-to-life sad parts or the truly uplifting happy ones. For MMGM, I am recommending Anya's Ghost by Vera Brosgol. I really enjoyed this graphic novel! It is a very quick read (I read it in about an hour), as well as a very fun one. The main character, Anya, has a family who has only lived in America for several years, having come from Russia. Anya smokes in an attempt to seem cool, and she isn't a good student. Just a few pages in, Anya falls down a well, where she meets the ghost of someone who died in the well. 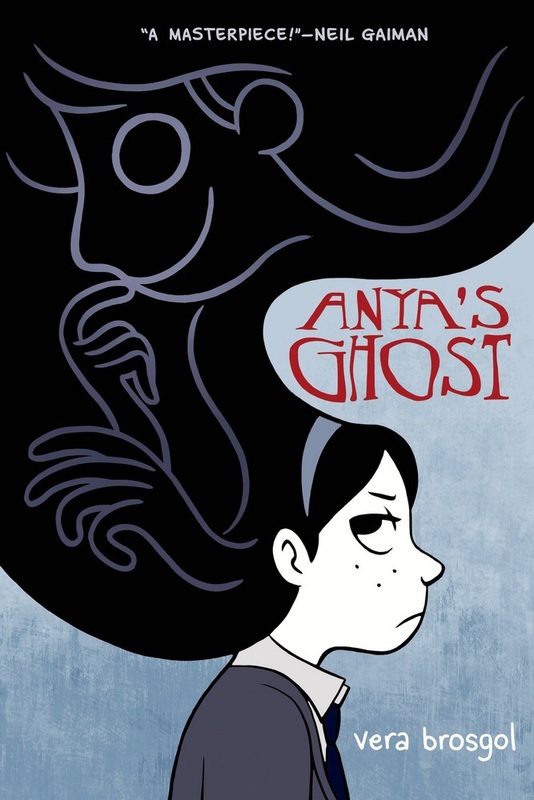 Anya and the ghost become fast friends, at least until they have a falling out and Anya discovers something shocking about the ghost. Although Anya makes many mistakes, she is a likable character, and she is very realistic. I also enjoyed the book's theme, which is mainly about how we perceive people as having better lives than we do, when that may not be true. Finally, I love the art style of this book, which is drawn mainly in black and white, although the black has more of a purple look to it. All in all, Anya's Ghost is an entertaining, thoughtful, and just-creepy-enough read! If you've ever read my early Poetry Sunday posts, you might be aware that I often recommended Mary Oliver poems. Today, however, I finally get to recommend my favorite, which I don't think was legally available online until now: "Rain" by Mary Oliver. I hope you enjoy it! 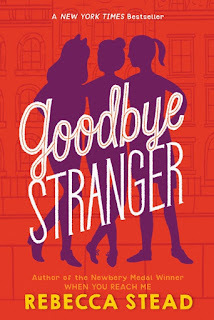 For today's MMGM, I am recommending Goodbye Stranger by Rebecca Stead (author of When You Reach Me). For MMGM, I am doing something a little different. As you might have noticed, all of my past MMGM posts have been recommendations, with little to no criticism. However, I have noticed that, for all the good books out there, some classics (i.e. those we are forced to read) aren't as good as many lesser-known books. Since I recently had to read a book for a school project, I have decided to review it while it's fresh in my memory. 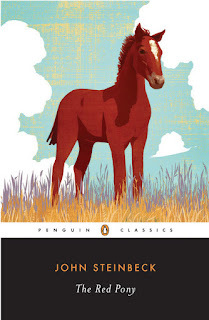 Therefore, I am reviewing The Red Pony by John Steinbeck, using the classic pros-and-cons style. Enjoyable style and voice. 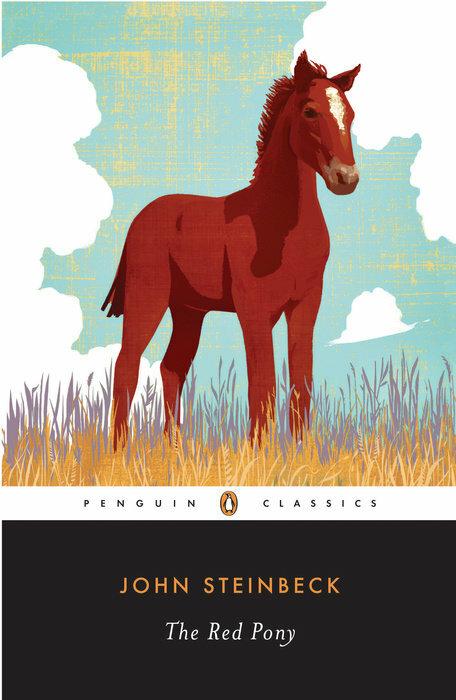 The Red Pony, originally written in 1945, revolves around a boy named Jody growing up on a ranch in what seems to be the 1920s. Steinbeck's narration of the four short stories comprising the book is enjoyable to read, featuring heavy use of figurative language and a distinct style and voice (the author's voice, not the main character's) that is omniscient, switching between several characters thoughts and feelings. Interesting characters. Steinbeck crafts an interesting cast for the book. Jody is a somewhat strange boy (often noticing what shoes his father is wearing based on their sound, for instance) who rarely talks, while his father is often mean and distant, trying to seem tough, but often internally realizing his mistakes, only to immediately make them again out of shame. Reasonable length. Unlike so many other books of its time, The Red Pony has 100 pages of material formed into a book that is exactly 100 pages. After reading so many 600-page classics, a shorter one is refreshing. Everything is gruesome. There are 5 parts of the book (all of which involve animals) that are described in a way that could traumatize anyone (e.g. cutting open a horse's windpipe, beating a buzzard to death with a rock). This is far too many, and Steinbeck's skill at description is actually problematic here, making it challenging to get through many parts of The Red Pony. Everything is depressing. 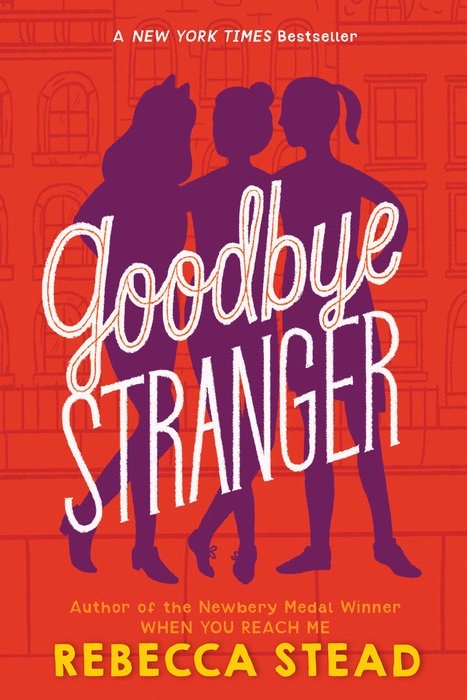 So much of this book is sad, from the fate of the titular character to the feelings of many characters (such as Jody's grandfather, who always tells the same stories from the past over and over, much to the dismay of Jody's father). Since the book is so short, there are very few happy or hopeful moments, making the book drag on, despite its short length. This book has many good qualities, but, in my opinion, its unrelenting sadness severely lowers its ranking. However, it could always be worse, and, for an old book, it is relatively enjoyable, featuring great writing (I can understand why it is a classic). I know many of you will probably disagree with me, but I still hope you enjoyed reading this review! Poetry Sunday (4/2/2017): THREE POEMS! For Poetry Sunday, I am recommending 3 different poems! They are "Afterwards" by Thomas Hardy, "The Oven Bird" by Robert Frost, and "Keeping Things Whole" by Mark Strand. I hope you enjoy these!